Destiny can be described as a planned journey, there is a starting point and an end point. On this road there are junctions, cross roads, hazard signs, bridges, pot holes, dysfunctional traffic lights and so on. There was a young man born into a big family. The love and care his father showed him was so much that he could not imagine living another life without it. But suddenly evil struck, the people he thought loved him turned out to be his enemies. Remember the story of Joseph the dreamer. Very early in his life he caught a glimpse of his future in a dream. He believed it so much that he shared his life destination with his brothers. If he knew it was going to get him in trouble he wouldn’t have. Joseph suffered many troubles and tribulations in the hands of people; but throughout his drive on the dusty destiny road, God never took His eyes off him. Thinking about the experience Joseph had, I am convinced he came to understand the Lord’s hiding place. Moses also experienced the Lord’s hiding place. First, as a baby when he was hidden from the spirit of death that wanted to cut short his destiny. Secondly, he was hidden in the desert for 40 years after running away from Egypt. Are you currently experiencing the hiding place? Do not be afraid. Don’t misinterpret the delay for denial. 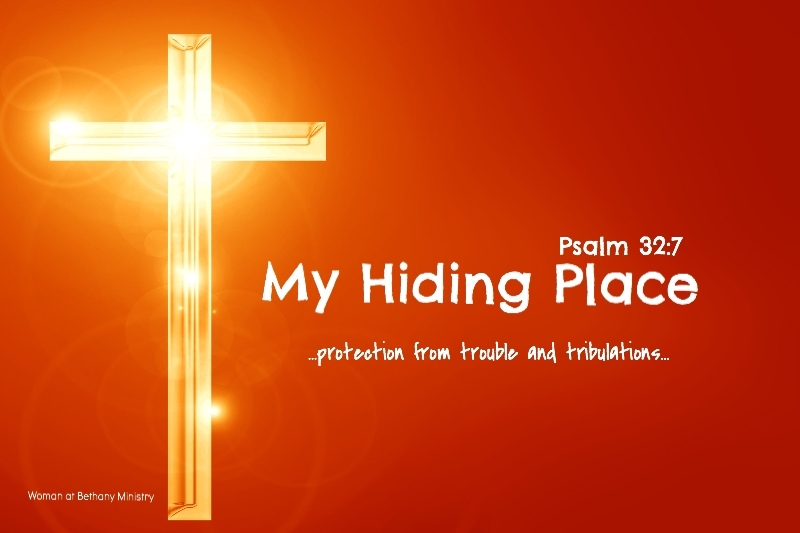 The hiding place of the Lord is the place where we are preserved from the onslaught of evil. It is the place of total deliverance. It is also the place of temptations and tests. Joseph and Moses both passed there tests and were promoted. The hiding place experience always leads to elevation and promotion, all for the sake of the kingdom. The hiding place will be experienced by all on destiny’s road. It is the Lord who designed it that way so all the glory will go to Him.